I’m back home in Finland, and still suffering from too hot weather. If anything, it’s worse here. 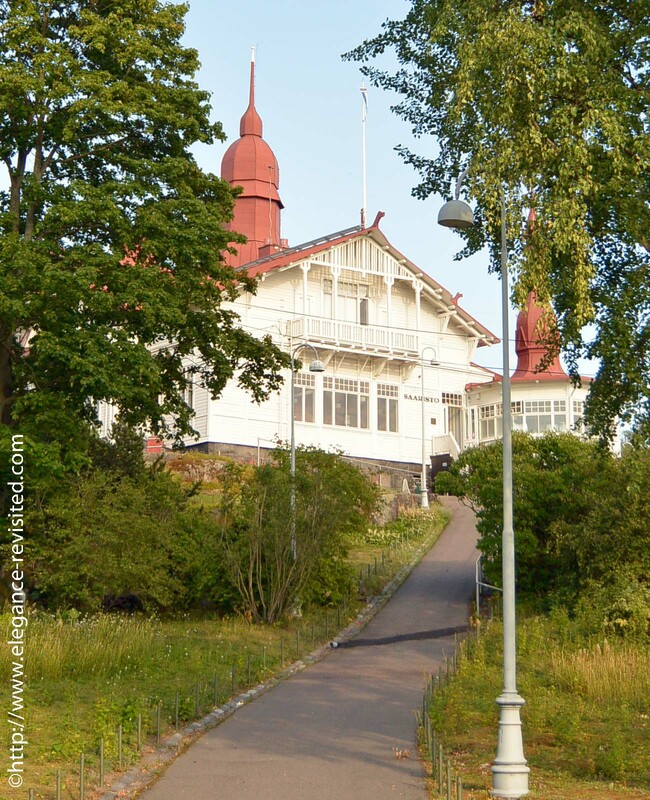 With daytime temperatures around (or just below) 30°C, and the so-called tropical nights (when the temperature hardly drops at all in the evening), the difference between outdoor and indoor temperature is almost non-existent. So, besides having the small mobile air con unit I have on overdrive, I’ve been trying to cool off by spending time by the sea. The dress sort of floats around me, without sticking to my skin. And as it’s made of viscose, it feels cool on my skin. And it has pockets!!! These photos were taken on a small island, in a lovely old restaurant (the dinner was delicious, too). 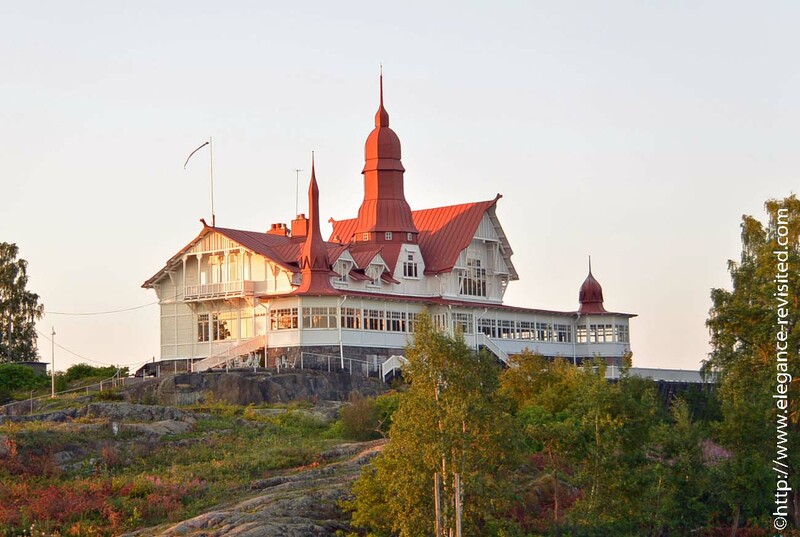 The restaurant was built in 1898 and, just like the yacht club on the neighbour island, it is literally a 2-minute shuttle boat trip away from the mainland. 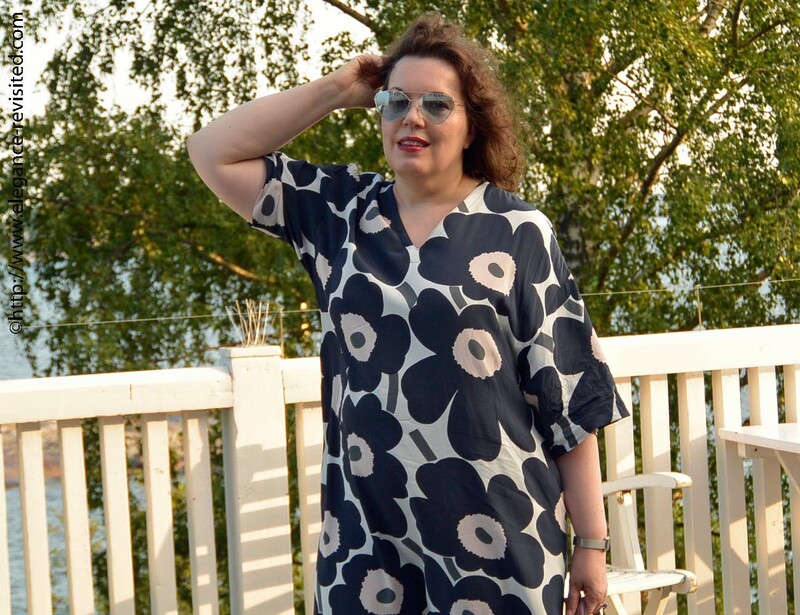 Well, as far as Marimekko dresses go, this one is a bit of a cliché, of course. 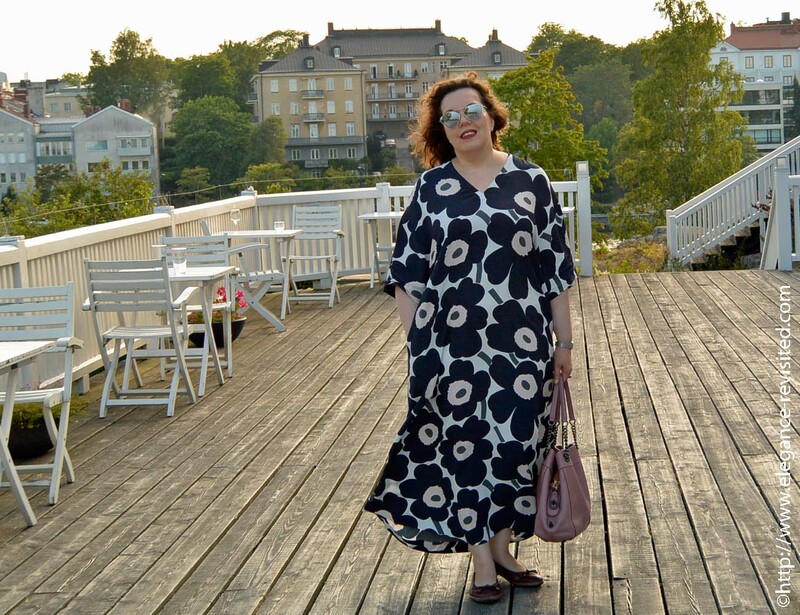 Not only because of the iconic Unikko (= poppy) pattern, but because there’s hardly a self-respecting (Finnish) style blogger who hasn’t featured this particular dress… By the way, this is not a sponsored post, and I paid for the dress myself. Anyway, I’ve been thinking that maybe I need to start looking at my summer/heatwave wardrobe the same way I approach my winter wardrobe. I mean, I usually buy one or two cashmere sweaters every year, and wear them forever. Maybe I should get one or two kaftan dresses every summer, too, to prepare for the inevitable July heatwave. Does that make sense? Isn t this summer just fantastic! I love it! Eating outside in the garden, reading books by the pool! Fabulous! I hate hot weather, I really do. Almost as much as I hate cold weather. No, I hate it more: at least I can escape cold weather by going indoors…And yes, I will definitely get more Marimekko dresses in the future. Thanks!39C!!!! That's insane. we've been having 28-30 and it's been hell (no air con in my flat). Tiina, you are living the dream! My sister and I are convinced that caftans are our future! Thanks for showing us the way and making it looks so cool and desirable—I'm officially inspired! Ah, thank you!I think kaftans might be in my future, too, if hot weather becomes the new normal in summer. I'm definitely going to find a few more (for next year, now the weather is finally getting a bit cooler). Yes, humidity makes it worse! I hardly wear any clothes at home (a silk robe, maybe) and I'm still suffering. Oh Tiina I really feel for you in your heatwave, especially as your night are still hot. At least we expect them here in Australia and most homes have aircon. I really love your loose , floaty dress and I have always liked that print and they really are the best thing to wear in the heat. 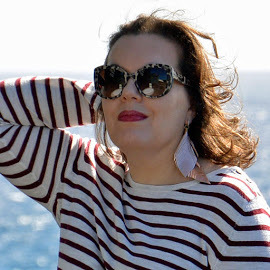 Hi TiinaIt's great to see your blog, which I've just discovered through the High Latitude Style link-up 🙂 That's a great dress – I love wearing cool loose dresses in the heat too. Here in the UK the temperatures have just returned to normal and it's raining and I'm so pleased with this because we don't as a rule have air con in our homes – so it's been a bit unusually hot for us Brits! Thanks, Penny.I know: we have a house in the U.K. (my husband works there), no air conditioning, and it was unbearably hot this summer. It was impossible to get the indoor temperature to cool down. 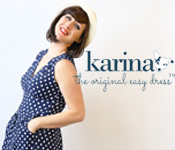 Thanks for linking up to the Top of the World Style party. This dress is pretty bold, but you rock it well! Thanks, Nicole! Marimekko is known for bold prints, and this particular print was first introduced in the 60's and it's still in production. I haven't seen this dress, yet, so it's good for me. It looks nice and cool and I like the handbag you've chosen to go with it. Thanks! This dress has quickly become my favourite for hot weather. It's just brilliant: it's cool and provides protection from the sun, and it's low-maintenance (= wash and wear). Thanks, Emma.It's the lack of air con that's the worse: there's nowhere to go to escape the hot weather. Fortunately, it has cooled down here, too.